4" - 8 oz Bowl 4" H x 4" Rim diam. 6" - 20 oz Bowl 5" H x 6" Rim diam. 8" - 48 oz Bowl 6" H x 8" Rim diam. 10" - 3 qt Bowl 7" H x 10" Rim diam. 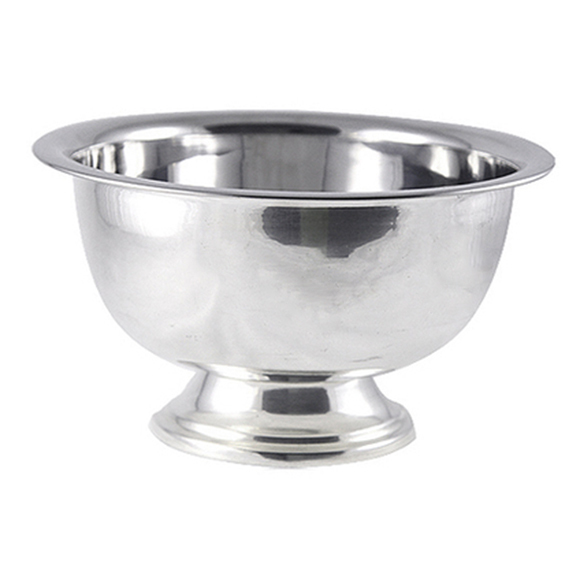 The shape of this "Silver Revere Bowl" dates back to early American silversmiths. When you need a centerpiece for your table, consider this bowl. The large size can hold nice amounts of fruit or decorative items. The silver-plated finish brings an elegant touch to your decor as well. When you want to add class to your celebration, this bowl will accomplish the task.